Anyone who’s seen the trailers could easily guess that Logan is the best solo Wolverine movie, but it’s more than that. It’s a legitimately special movie that just happens to star superheroes—a film that wouldn’t be out of place at the Academy Awards. And it’s still just as badass as any Wolverine fan could want. The film, co-written and directed by James Mangold, takes place in 2029. Logan (Hugh Jackman) and Professor X (Patrick Stewart) are off the grid, clearly following some major ordeals that have left them believing there have been no new mutants born in a long time. As the two live their lives in hiding, suddenly a young mutant named Laura (played by Dafne Keen) comes into their lives. Even more surprisingly, she’s a mutant who has powers remarkably similar to Logan’s. From there, Logan is largely a road movie, with the trio of Logan, Xavier, and Laura driving across the Midwest, outrunning bad guys who are after Laura. Everyone is great in their roles, and the dynamics and the constant tension offers plenty of opportunities for humor, introspection, conflict, and pretty much all that good stuff that makes characters human. “Human” is a good word for the film as a whole too; even though the main characters are mutants, the film constantly has a grounded humanity that makes the movie riveting. From the music to the locations, the cinematography and costumes, James Mangold has created a truly believable world that just happens to have a few superheroes in it. However, the road movie structure doesn’t help the movie’s biggest problem: It feels long. 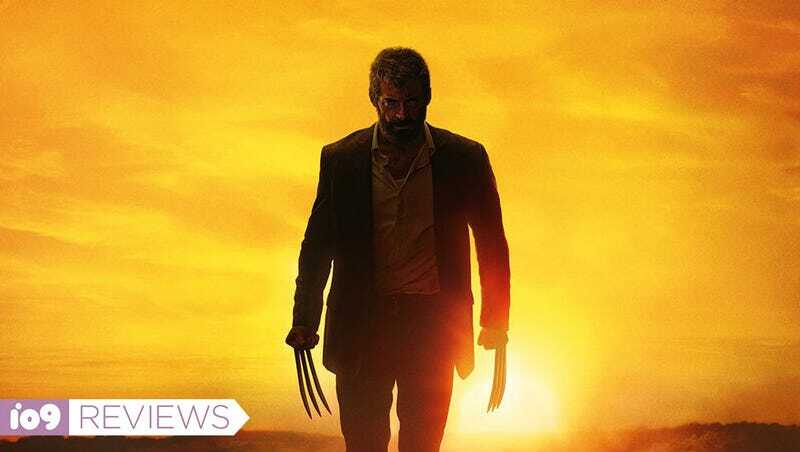 At about two hours and 15 minutes, the pace can occasionally slow to a crawl and make you think “Wow, this is still going, huh?” But the quiet moments allow Mangold to juxtapose Logan’s introversion and weariness with the beauty of the world around him. Along the way, the story continues to escalate and reach new heights of emotion and excitement. New characters and mysteries are introduced, new settings discovered, and Mangold peppers in just the right amount of huge action set pieces. These set pieces include some of the most brutal violence seen in a superhero movie to date, and the best part about them is they’re all motivated by the story. Every scene, be it an escape, siege, or brawl, is in the film for a reason and changes the characters in some way. It sounds like a little thing, but it adds real stakes to the film and makes some of the later revelations that much more impactful. “Impactful” is another good word to describe Logan, actually, and I’m not only referring to the action sequences. Most of the film feels like a small, character-driven story and yet, every conversation had, every tiny pause taken, it all feels meaningful and larger than life. Characters hurt each other, love each other, and the audience feels those emotions. Surprises in the film delight us, crush us—impact us just like they impact Logan, Xavier, and Laura. You simply don’t get that depth of engagement in a superhero movie. Hell, you don’t get it in most movies, period. Another thing you don’t get a lot of in Logan are concrete answers. Mangold isn’t interested in making an X-Men movie; it’s called Logan for a reason. He sets up some huge, universe-shattering questions at the beginning of the film, tiptoes around them, then barely provides answers. Even some major character beats crucial to this story are left implicit rather than explicit. Some viewers may be frustrated by this, and that’s understandable. But I felt it was Mangold’s boldest choice, made in order to make his film feel real. He’s not concerned about how Deadpool would fit in or where Storm is. He cares about this story taking place in this time and how Logan, a man who has been around for a long time and already experienced more trouble and tragedy than anyone should, would deal with it. Sometimes in the real world, not everything has an explanation, and that’s what happens in Logan. When you walk out of the theater, Mangold wants you to be asking these questions and talking about these characters. And make no mistake, Logan is a movie you will want to talk about. Logan is a movie that manages to entertain you and challenge you, that feels a true story regardless of being in the world of X-Men. It’s just as much an arthouse drama, or a prestige picture, as it is a big-budget, action-fantasy movie starring Wolverine. And how many other superhero movies can you say that about?